“So long as you write what you wish to write, that is all that matters; and whether it matters for ages or only for hours, nobody can say. But to sacrifice a hair of the head of your vision… is the most abject treachery; and the sacrifice of wealth and chastity, which used to be said to be the greatest of human disasters, a mere flea-bite in comparison.” – Virginia Woolf, ‘A Room Of One’s Own’. I’ve long been an admirer of Alice Orchard. We met a decade ago in Darwin when I was living there, working in radio. I’d up-stumped from Sydney, and, in search of like-minded souls who lived and breathed music, found my way to Happy Yess, a tiny independent music club run by volunteers. It was a mecca for local musicians and music lovers eager to avoid the blood-and-chunder cover-band strip that ruled the city’s nightlife. At that time Alice was fronting Country Town Collective, a band of incredibly talented musicians, who, somehow, had managed to work out the fine art of keeping friendships together in spite of its sprawling size, the constant ebb and flow of members and ragtag of eclectic personalities. 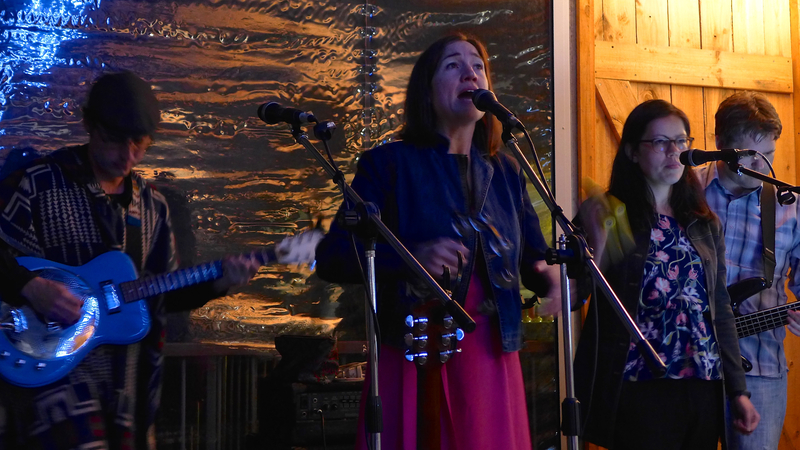 They played a beautiful blend of alt-country/alt-folk which quite often whipped into frenzied, roiling blues. I saw them play there a bunch – also at a tiny clutch of other local venues which supported ‘this kind of music’, then few and far between the backpacker haunts and throbbing nightclubs. Alice has an incredible instinct for songwriting. I was seriously taken when I first saw her perform with the Collective. Listening to her again at the recent preview gig for her new album, ‘Blue Dress’ – notably her first as a solo artist – I felt the same gravitational pull take hold. As her voice and guitar enveloped the spectacular wine country setting, I re-realised I was in the presence of an artist whose heart beats with pure creativity. She’s a killer song-writer. For some reason I was reminded of Bob Dylan, such is her belief in the artform, her dexterity and sense of ‘the social’. She’s poetic. Insightful. And she loves music so much you can feel the ache from deep within her bones. 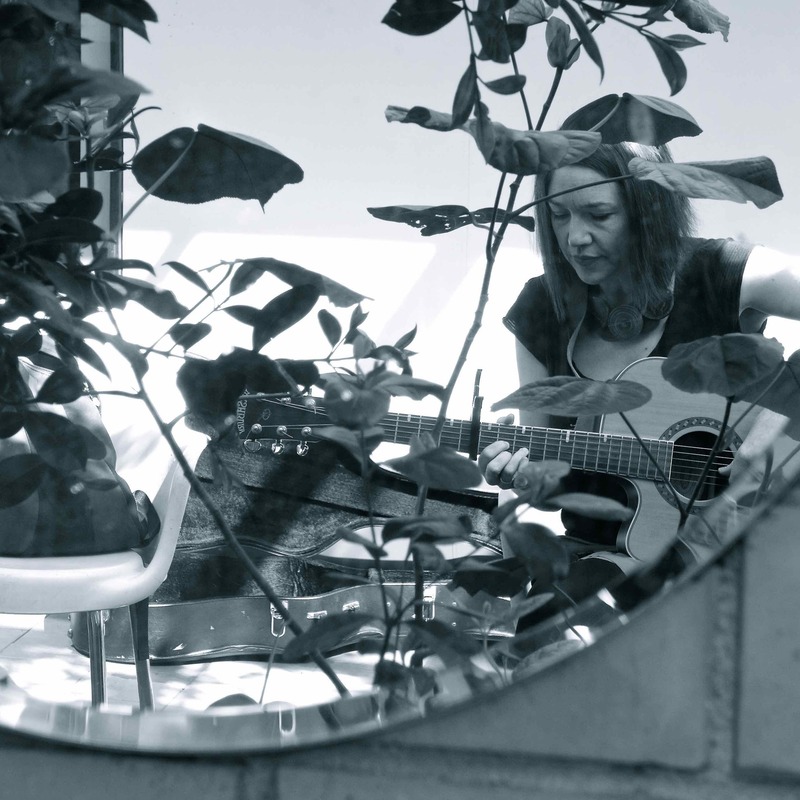 Her partner Kim Orchard is also a one-off – a mad bluesman and incredible musician. Meeting in Darwin ten years ago they forged a union in love and music (now love, music and kids). This night, as part of the band (more talented friends! ), he slays his guitar, making it down and dirty as hell in dissident service to her delicate songs. It’s the perfect combination – and counterpoint. Now they’re back living in Alice’s hometown of Adelaide. My new home too as it turns out. 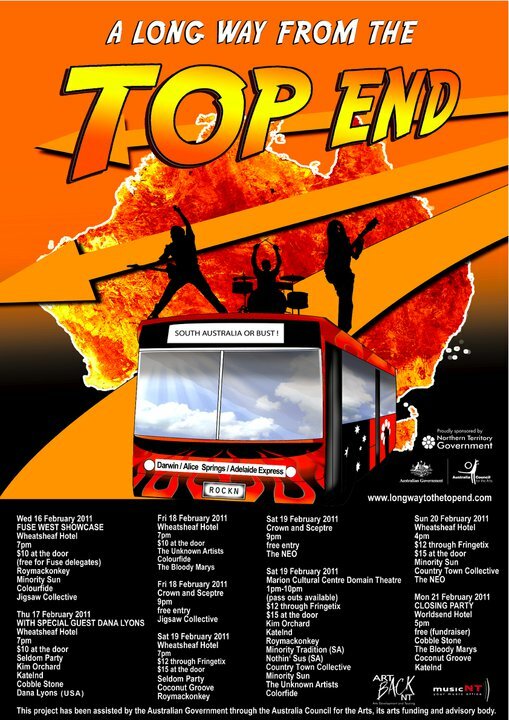 It’s where we worked together in 2011, on the vanguard tour ‘Long Way From The Top End‘. An initiative she spearheaded, Alice was determined to shove as many of the excruciatingly under-valued, uber-talented artists from the Northern Territory as possible under the noses of the down south ‘industry’ demi-gods. Over 20 bands and performers jumped on board. With a slew of live gigs we made sure the promoters, national media and audiences in town heard what they had to offer. Loud. It did the scene a world of good. But now it’s Alice’s turn. She’s spent years writing the songs for ‘Blue Dress’. All she needed was a room of her own – snatched in between full-time work at Finders University, raising wee kids and the myriad of other demands that flood her daily calendar. ‘Blue Dress’ lays bare one beautiful, indelible song after another. Nothing has been compromised and everything has been held up to the light, examined and re-examined – every note, every lyric. It’s a sojourn in harmony and ‘discordia’, filled with heartbreak, melancholy and frail honesty. And some of southern – and northern – Australia’s best musicians. Circus Folk: When was the moment you became aware of music – do you remember? 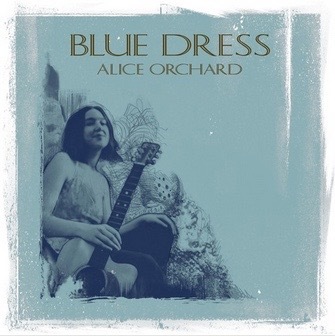 Alice Orchard: My parents have a recording of me singing when I was four or five years old. I also have somewhere a Christmas carol I wrote when I was six. I had just started learning the piano and I wrote it out properly on a stave. I sang a lot as a kid, so my parents bought a piano and I did lessons till I was 15. CF: What kind of a relationship do you have towards singing? AO: I am definitely more of a songwriter than a singer; it’s taken a lot of work for me to get comfortable with my voice. My mum used to tell me that I wrote great songs but that I should get someone else to sing them! But with age I feel like my voice has become a bit more interesting and just in the past two years I feel like I’ve actually learned to sing, in the sense of using my voice as an instrument and working with resonance, rather than trying to copy some impression of what I think I “should” sound like. CF: Music seems to be much more than something you just ‘do’ – it seems to be something you believe in. Would that be a fair thing to say? Can you share a bit more about that? AO: Over the past year I’ve gotten really interested in the effects of acoustic music on the body. For example, I notice with my kids that electronic ‘bleeps’ in the games they play on the iPad and so on, get extremely irritating to all of us over time and leave them in a fractious state. But acoustic music is nothing like that. 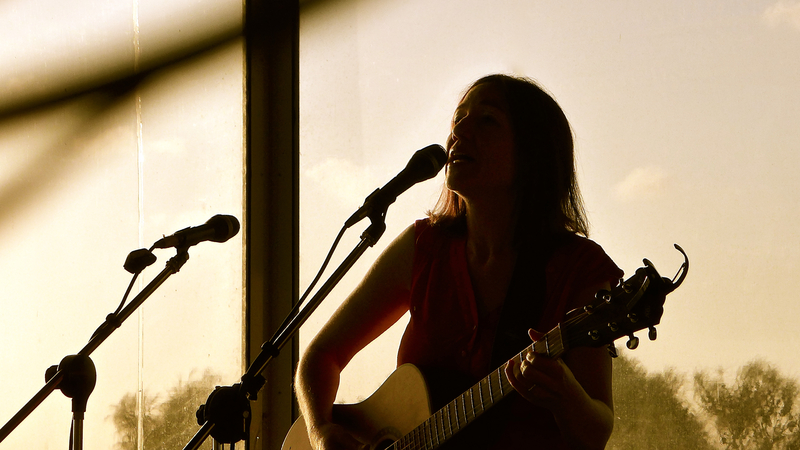 The resonance of singing or playing an instrument draws a response from the body. Plato writes about this in The Republic and thinks it’s a threat to reason! I am especially interested in how music helps with sensory integration – which is a term that comes from occupational therapy. Playing music involves more of the senses than any other activity, so it’s a great way to develop and improve sensory processing overall (which is why it’s so good for kids to learn a musical instrument, and for aged care and rehabilitation facilities to include music programs). CF: But why music? What do you love about it so much – why not some other creative outlet for instance? AO: I have no talent in the visual arts! Or in drama or dance. I always wanted to be a writer and have written lots of drafts of novels. But now that I am fully immersed in family life I just can’t justify getting myself in the critical mindset I need for writing. Music is social; I can pick up the guitar for 10 minutes in between doing housework, the kids can join in, and it helps to keep my over-committed life in balance. CF: You are a self-described “introvert”, yet you love performing live. Can you tell us a bit more about the need it fulfils in you and also why you enjoy performance? AO: I am an introvert, but I’m also interested in people. I love collaborating and want people around me to be happy. That’s my nature! I love performance as an extension of that communication. It’s about giving something back to the audience. Ideally – in my mind – the audience would be part of the performance… I’m still thinking about how to make this happen. CF: What inspired the songs for ‘Blue Dress’? And have you been working on this album for a long time? AO: The album is a collection of songs written over the past 15 years that (mostly) haven’t been recorded or released before – although most of the songs were part of the setlist for Country Town Collective, the band I used to play in. There isn’t really [an overall] ‘thematic vision’. I have reflected on this because the next album, which I am writing now, is clearly about sadness and getting older and nostalgia. But ‘Blue Dress’ is who I was from my mid-twenties to my late-thirties. “Blue” as in “sad”. I have tended to only write a few songs a year which in the past have come from the most traumatic moments in my life and wanting to turn those into something beautiful. Lately though I’ve become more fluid with songwriting. I now tend to have a few different thoughts and feelings buzzing around my head and they all flow out as one song. The recording process itself for ‘Blue Dress’ began in April 2016. So it’s been a two-and-a-half-year project. 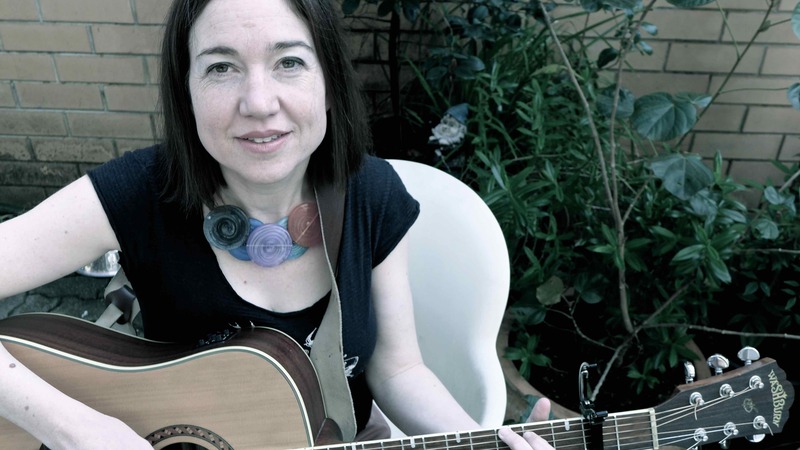 It was recorded at Stella One Studio in the Barossa Valley, which is the home studio of Jamie and Vicki Blechynden. They really nurtured me through the process, despite me being (I think!) at times difficult to work with. [They] really stayed the journey. AO: I always thought that I would work till I was 40, then become a full-time artist (writer). But life doesn’t work to any plan! I feel so lucky to have embraced so many amazing career opportunities – working with Indigenous leaders in ATSIC, with artists in the NT, with men and women leaving prison and with doctors and medical researchers at Flinders [Uni]. All have inspired me so much. I think I thrive on learning new things and challenging myself, so I don’t get bored or depressed with my life. I think it’s tough to make a living as an artist of any kind, but there are wonderful platforms like the ABC and triple j which support new and diverse talent. It’s such a personal choice. I’ve always been driven by this desire to fit in and fly ‘under radar’ a bit. That’s my personality type. I’m embarrassed to be the centre of attention. I think perhaps that’s why I love songwriting as it’s the only time I feel like I can truly speak my mind! But I am happy to be a performer part-time, then go back to my ordinary life. I think there has never been a better time for women and people from diverse backgrounds, to make art and to find a receptive audience. Social media makes it nearly impossible to ‘fake it’, so it really is a platform for authenticity. I love this about Instagram. It’s my own online photo album that I get to curate. You just have to be yourself. CF: Just on that idea of community service, and perhaps integrating music into that – would you tell us a little more about the music program you put together for the second year medical students at Flinders, ‘Music For Health’? AO: There was a pilot program (coordinated by Dr Maxine Moore) to introduce a medical humanities curriculum in the Flinders MD. I was delighted to be asked to design one of the elective options, as they wanted to give the students as broad a range as possible to choose from. The elective involved the students forming a rock band and rehearsing a set of songs over 4 months, then performing live at the Flinders Tavern. We had 9 students enrol in the first ‘Music for Health’ elective and they really taught me as much as I taught them! All the students were wonderful to work with. (You can read more about it here). It will run again next year but in a different format, with students rehearsing in smaller groups for performances in the hospital wards. 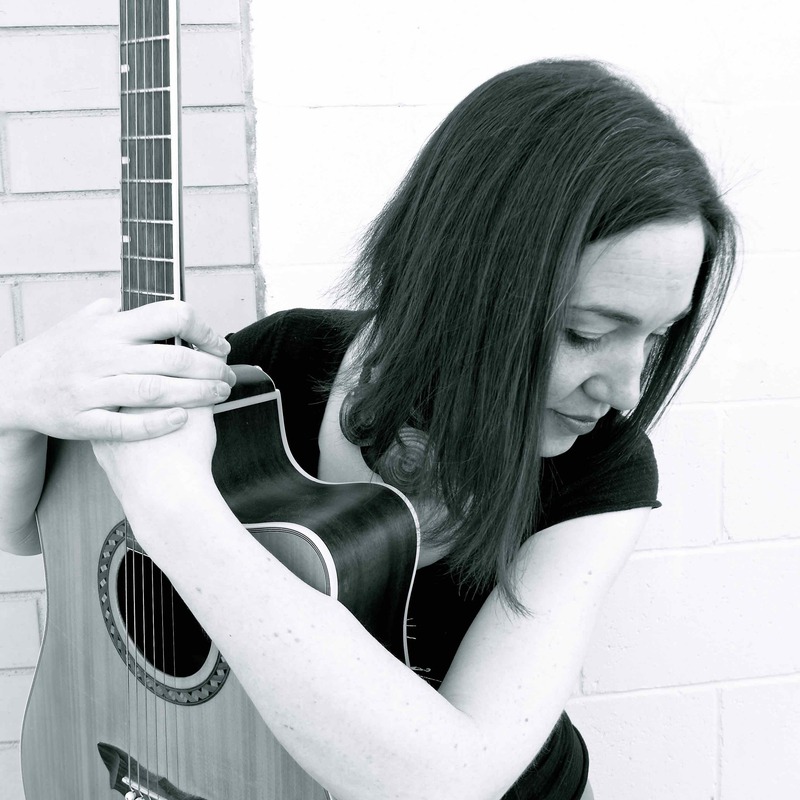 I’m collaborating with Dr. Amy Wyatt who is a biochemist at Flinders and a musician – and, lucky for me, now also playing with me in my band! CF: If you could reincarnate as your favourite musician, who would that be – and why? AO: I am a tragic diehard John Lennon fan. His songwriting just cuts through: it’s lyrical, honest, painful, humorous… And in all that, somehow soothing to listen to. CF: And other musical influences? AO: Gender is really in the spotlight in the music industry at the moment, so I would also just say that pretty much all the music I am listening to right now is by Australian women: Jack River, Emma Louise, Tia Gostelow, Freya Josephine Hollick, Kasey Chambers, Tash Sultana, Mojo Juju, Angie McMahon… So much talent! These are the stories I want to hear, that mean something to me right now. CF: Where do you see yourself now headed with music? Where would you like to take ‘Blue Dress’, and your music in the future? I feel like I’ve just put one foot on the bottom of a ladder – this is just the start. I’m writing songs now for a new album which is more about my current stage of life, i.e. being a working parent and feeling tired all the time! That’s where I am at now. I’d also love to set up a home studio, to give myself more opportunity to experiment and spend more time on the recording process. CF: Finally, what’s the best piece of advice you’ve been given when it comes to making music? ‘Blue Dress’ is out now. Listen and download from here. Watch: ‘Sooner or Later’ video; Alice at Darwin Railway Club, and her ‘impromptu’ laneway performance in Adelaide. Read: more about ‘Ectopic Beats‘. Disclosure: Alice and I are old friends. This article is part of my professional (paid) work with Alice to help promote her new album.